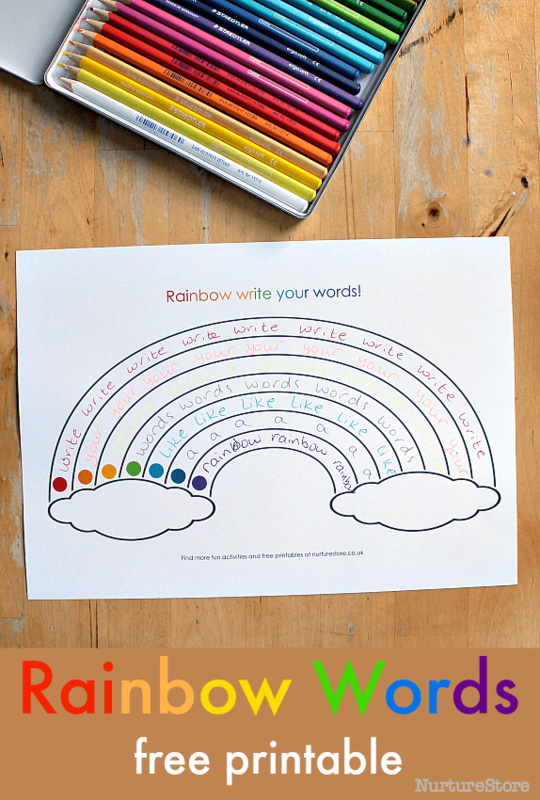 These printable rainbow writing sheets give you a quick-to-set-up, visually-inviting way to learn spelling words. Practise is the key! By writing out a word several times your child will build up a ‘muscle-memory’ of how the word is formed. Using the colours of the rainbow adds an extra-sensory element – and remember to say each word out loud as your write too. You can print as many pages as you need for your whole class, or for your child to use with their spelling list each week – and see below for an idea on how to make one sheet re-useable. You can combine this style of rainbow writing with a layered rainbow writing exercise or a rainbow salt tray. Give your child plenty of variety, keeping the activities fun, and memorable. 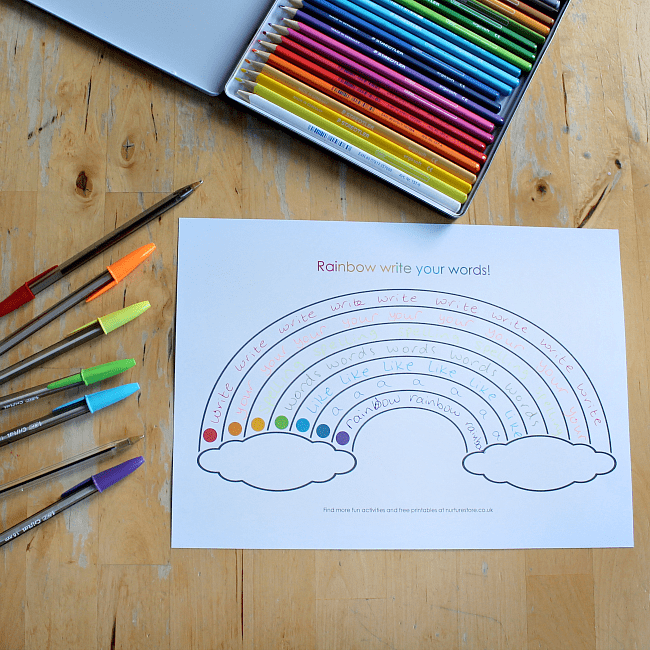 Add colour and fun to your learning with all these extra ideas for rainbow activities. Ideas include maths, literacy, art, craft, and sensory play, plus many more free printables. Get these free resources so your teaching organised for you, and so easy to set up – and your children get to delight in engaging, multi-sensory, fun learning. See all the rainbow activities here.